The basic definition of broken link building is acquiring a link back to your website by pointing out a broken link on someone else’s website. You may have heard of broken link building before and not be sure what it was. How can a broken link elsewhere have any benefit for your website – and why would it? There are mixed opinions of broken link building, with some SEO experts claiming that for the amount of time it takes the results are not either scalable or reliable. 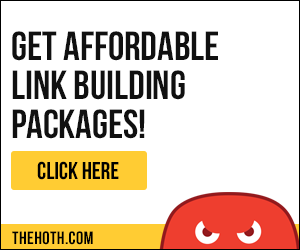 One way to make broken link building work is to have a process and that is what I want to introduce you to today. A broken or dead link is a link on a web page that no longer works. There can be several reasons for this. 1. An incorrect URL has been entered by the website owner. 3. The website has expired or been removed. 4. The website has a firewall that blocks access to the site. You may think that broken links can only happen to your site if you are not using it – wrong! A site that has not been updated or checked for a long time can experience link rot which can lead to many broken links. What Does A ‘404’ Message Mean? You may have come across this as you search the web for information. You will land on a site page that displays the 404 message. A 404 message is when a website content has been removed or has been moved elsewhere. The URL has been removed or deleted. The URL has been written incorrectly during the design process. The server for the website is not running. The domain does not exist anymore. You can often find that dead or broken links can be left for long periods of time since some operators of websites do not even know that the linked content has been deleted or removed. Some websites also still appear in search results even though they are not online anymore. That leaves other linked websites with no idea that site has been removed or they can now be found under a new URL. What you find is that many people do not check their external links regularly and therefore a functioning link could be a dead one. The basis of broken link building starts with finding the broken link itself. Once you find a broken link you can re-create the dead content ( for example a blog post) and then inform everyone who is linking to the broken link to re-link to your re-created content instead. The reason why broken link building works is that nobody wants to have broken links on their website. As we have noted before having a 404 message leads to a poor user experience and users boycotting your site. So the idea is that once you tell someone about broken links on their site they will happily want to replace them with working links from you. So let’s run through how it might work. You find a dead link on a post you are reading through. You can then use a tool called Waybackmachine to find out what used to be on the broken page. You find by looking on that page that it used to contain a guide on linkbuilding. Your options are to do one of three things. 2. Reach out to the website owner and tell him about the broken link. 3. Suggest that he might want to change the broken link to one that is working (one of your own). One of the surprising things is that you will not get a response back every time. In fact, you will be lucky to get a response rate of 10%. 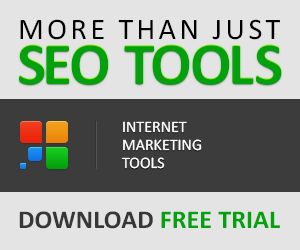 What you can do is using a tool like Ahrefs is to check the broken link in Site Explorer and check to see how many other links are pointing to the broken link and reach out to those. Here is a very quick method of finding broken links using my favorite tool- Ahrefs. I use always use Ahrefs site explorer as a starting point. As you know this is a live experiment so I am going to research ‘link building’ as my topic. So I do a google search just for link building. I have compiled the following list. As an example, I will use one of my target sites www.pageonepower.com. You then click on the Best Links tab where you can filter at the top for 404 pages. This then returns a whole load of 404 pages. It is always better if you can find 404 pages with lots of referring domains. However, in this example, I am looking for pages that I might have content to re-purpose to. I can then write to the website owner and ask that the link is broken and would they like to link to my ‘Link Building Guide’. There are other ways of finding broken links if you didn’t want to use Ahrefs. So like before you have your raw data – a list full of potential URL with broken link opportunities to go at. You now need to outreach to the owners to build those links back to you. We need to think about email outreach. The process is to find the contact details for the site you are reaching out to and send them an email about the broken link on their site and how you can fix it for them. You have to be careful though not to come across as spammy in your email campaigns. We have talked before about ‘personalization’ is the key. Do not embark on massive scraping and mass email campaigns, that is not the way to do it. For smaller companies, you would try and reach out to the owner or blog owner. For larger companies, you need to track down the people in the organization that look after the blog. Tell them why it is a suitable replacement. I enclose a copy of an email I could send to Zach Ball CEO of pageonepower.com. As you can see the email is not too pushy. All we are suggesting is that we have found a broken link and giving an alternative to point the link to my resource. Never tell them to link to your resource/page -people hate being told what to do. Finall,y if you get no response don’t forget to follow up. So to conclude, broken link building is a bonafide white hat method of building links. It may be quite time consuming but certainly can render good results. One final piece to remember is that the content you are replacing the link with should be a suitable replacement of top quality.